The addition of Old Republic characters continues in Star Wars Galaxy of Heroes as the EA GameChangers are pleased to announce the upcoming additions of both Carth Onasi & Juhani to the game. Onasi, a Light Side Attacker is described as “Old Republic soldier that excels at clearing waves of enemies,” while Juhani is a “Unique Jedi Tank who dispels debuffs from Jedi and Old Republic allies and becomes more dangerous below full Health.” Both are expected to be important for the February 2019 Darth Revan (Dark Side) event that I am predicting, and both will likely join the game in the coming week via separate marquee events. Let’s take a look at their kits and I will try to add a few videos from my fellow GameChangers below. FINAL TEXT: Deal Physical damage to target enemy and inflict a Damage Over Time effect for 2 turns. This attack deals 10% more damage for each Damage Over Time effect on that enemy. FINAL TEXT: Deal Physical damage to all enemies and gain Offense Up for 2 turns. For each Critical Hit this attack scores, Carth gains 15% Turn Meter. FINAL TEXT: Old Republic allies gain 30% Potency, Tenacity and Critical Avoidance. Whenever an enemy is inflicted with a Damage Over Time effect, all Old Republic allies recover 3% Health and Protection. When an Old Republic ally uses their Basic ability during their turn, they have an 80% chance to call another Old Republic ally to assist, dealing 50% less damage (limit once per turn). FINAL TEXT: (ZETA) While attacking, Carth gains 10% Offense for each active enemy and Old Republic ally. Whenever Carth defeats an enemy, he gains 10% Critical Chance and Critical Damage (stacking), and the cooldown of Just Keep Shooting is reset. FINAL TEXT: Deal Physical damage to target enemy. This attack deals 10% more damage for each debuffed enemy. FINAL TEXT: Dispel all debuffs on Jedi and Old Republic allies. Then, Juhani gains Taunt for 4 turns and Stuns the target enemy for 1 turn, which can’t be evaded. FINAL TEXT: Deal Physical damage to all enemies. For each Critical Hit, Juhani recovers 10% Health and Protection. If Juhani is Stealthed when this ability is used, Stagger each enemy for 2 turns. FINAL TEXT: (ZETA) Juhani recovers 20% of her Max Health at the beginning of each of her turns. While Taunting, Juhani has +35% Counter Chance. When Juhani drops below 100% Health, she recovers 5% Protection for each active Jedi or Old Republic ally, then gains Offense Up, Health Steal Up and Stealth for 2 turns. If Juhani is Taunting when this condition is met, she loses Taunt. Nukin – Two Old Republic Heroes! Jedi Tank Juhani & OR Leader Carth Onasi Character Reveal! Warrior Presents – Carth Onasi and Juhani Incoming! 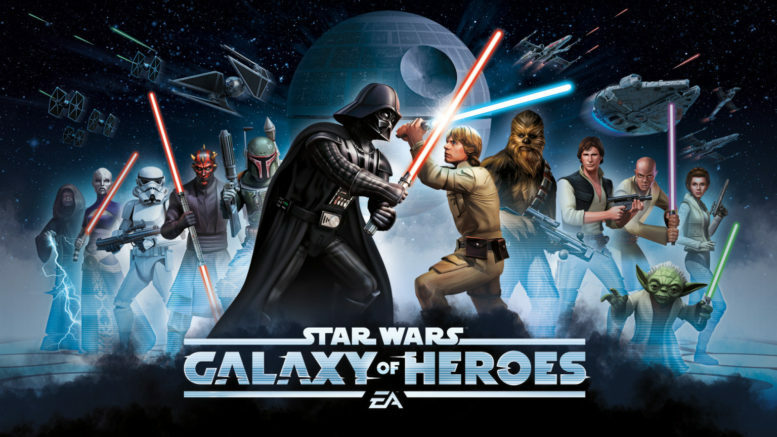 Be the first to comment on "SWGoH GameChangers: Carth Onasi & Juhani to join Old Republic Characters in Galaxy of Heroes"